Lou's World: New Challenge Blog COMING SOON! Karen's colour challenge - Jan CC at Scrapboutique....& to use at least 3 photos. Gorgeous colours! Thanks for dropping by :)......Don't forget to go & check out the new challenge blog KRAFT IT UP!!! Oh my!!!! Your LO's are just simply stunning!!! I just LOVE your work. And your sneak looks devine...I am heading over there right now!! 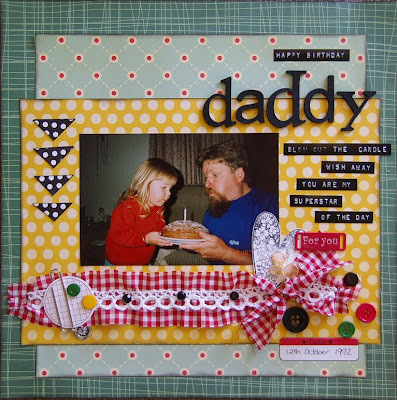 I love the work you did for the Scrapboutique Cybercrop, Linda- gorgeous layouts, as always, tehe! 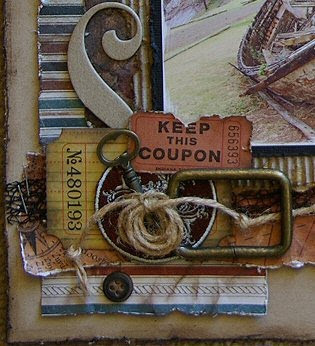 I adore the embellishing on your sneak for Kraft it Up - utterly devine, I can't wait to see the full layout! Looking forward to working with you on theCT! !